This argument has been won. 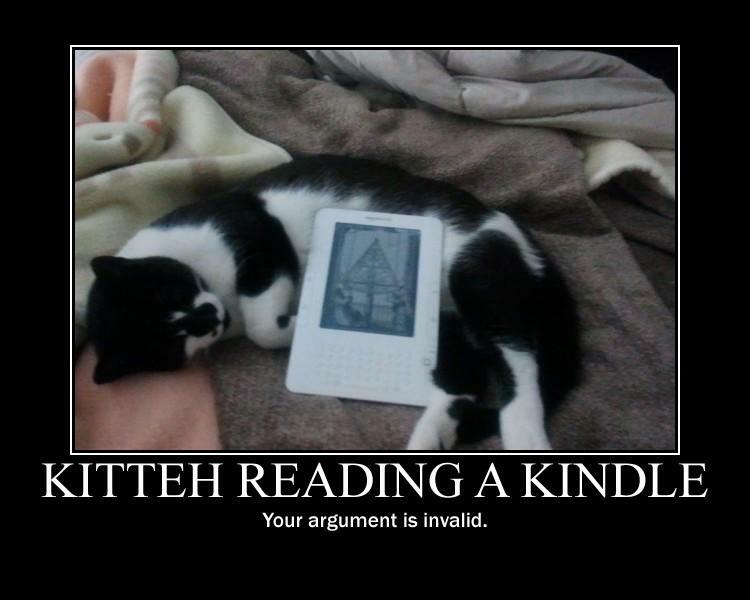 Ereader takes it. haha, that is awesome. My cat is famous (which he always knew he should be).